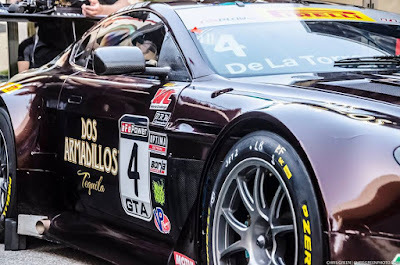 It was great to read today that Texas based De La Torre Racing have entered their Aston Martin Racing V12 Vantage GT3 into the inaugural round of the 24H Series in continental USA when the series visits the Circuit of the Americas in November. The Circuit Of The Americas track is one that the small team of De La Torre Racing is very familiar with. Jorge De La Torre, CEO, Founder and Driver, will be applying his teams experience from this track to the 24-hour race. “Our team is excited for this opportunity with CREVENTIC and we are working hard to prepare for this 24-hour race.” said Jorge De La Torre. 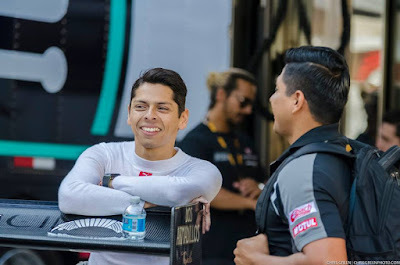 The team are also expected to announce their continuation in the Pirelli World Challenge which itself kicks off in just two weeks time in St Petersburgh, Florida. The 24H race at CoTA has already attracted a loyal band of 24H entries despite the logistics involved with the De La Torre's car being the first AMR entry (so far) into the series for 2017.